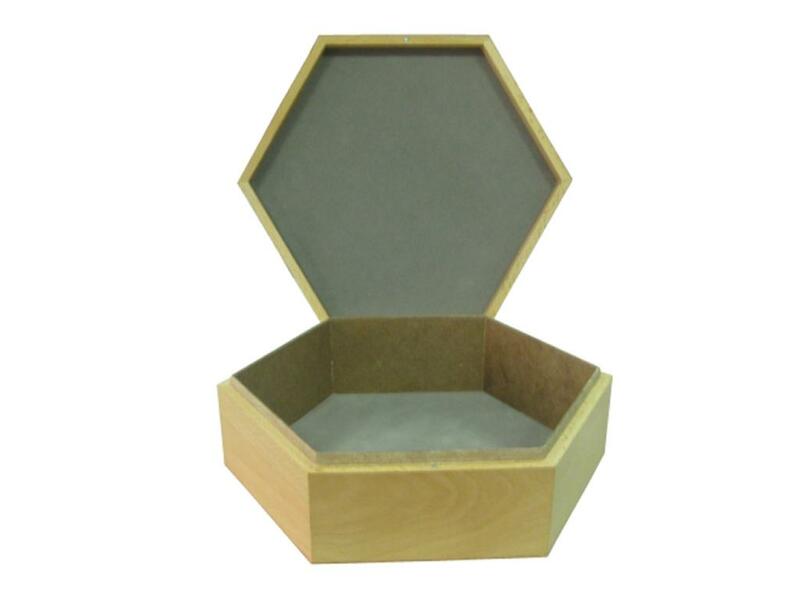 This unique hexagon wooden craft box is made of beech wood and has a nice varnish inside and out. The inside of the lid is lined with gray felt and the bottom is as well. The outside dimension is 11"x4". 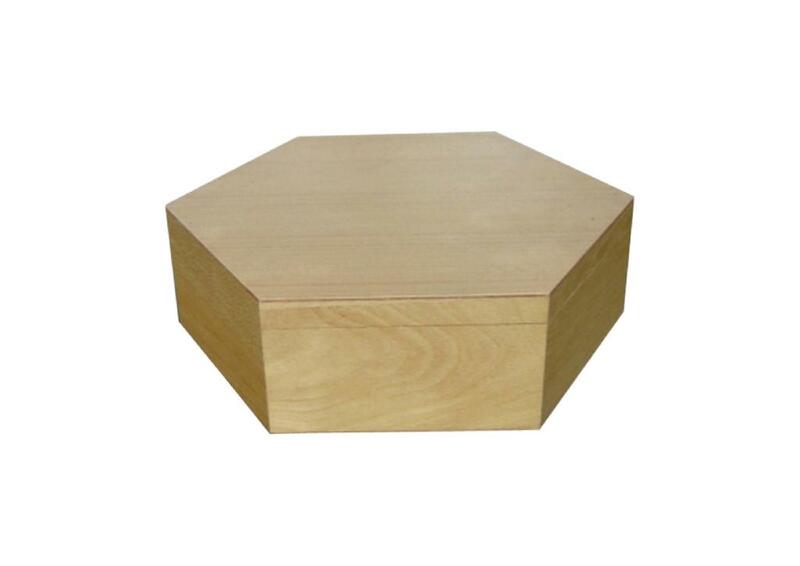 This box can easily be manufactured with other woods upon requests. We take great pride in manufacturing the highest quality custom made wooden crafted and gift boxes for each and every customer. We have the skilled workforce and expertise required to meet any and all of your wooden box needs.